The US Dollar began to weaken against the Canadian Dollar on Wednesday after the currency pair failed to move above the upper boundaries of both a descending trendline and the upper trendline. The 55-hour simple moving average is currently providing support for the currency pair to push higher. 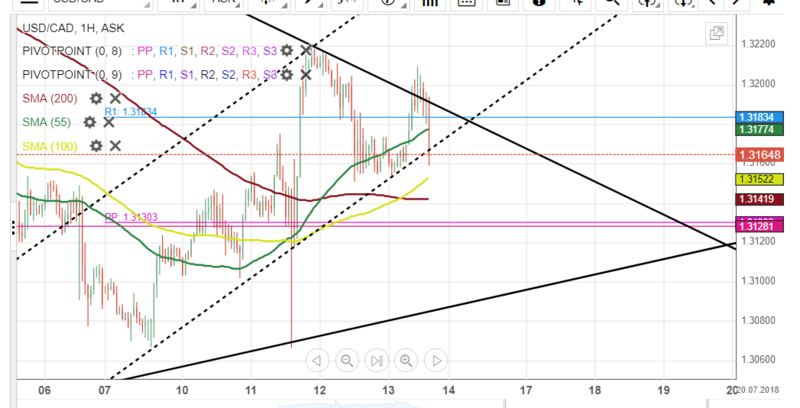 Everything being equal, it is likely that the USD/CAD currency exchange rate continue moving in the ascending channel until it reaches the upper boundary of its pattern during the following trading session.